I don’t know if every part of Ghana is as busy as Winneba is right now. From my personal observation, it seems as though the Effutu constituency will be the most tensed constituency in the whole of Ghana next year. I have been in Winneba for almost five years and even though I am worried about the fact that I have to travel to Takoradi every fortnight to see my family, I seem to be enjoying the current political happenings in Winneba so much that I have forgotten to push for my transfer. Before I delve into this, let me own up that I am an unapologetic NPP member. If in the course of this write up you read me to be tilting towards the NPP please do forgive me but I will try my best to be as objective as I can. It all started early this year, when the Winneba Fancy Dress became the hottest issue in Winneba. It was my first time to witness the overhyped Winneba Fancy Dress Festival. I am saying it was overhyped because I think the publicity exceeded what I witnessed on the park. I would not want to compare the Winneba Fancy Dress Festival to my very own Takoradi Masquerade Festival. Maybe, in future I will write another article to do that but for this very piece I want to send a notice to the NPP National Executives. So the Winneba Fancy Dress Festival in my view was totally politicized. The current Member of Parliament seemed to be pushing an agenda and the organizers seemed to be pushing a different agenda. In the end there was an unfair power play that marred the beauty of the festival. That was when it all began, the aftermath was just interesting, series of radio banter here and there, WhatsApp and Facebook messages and audio and many other interesting happenings. I like controversy, so I was really enjoying it. What made the banter even more interesting is that, it was coming from two renowned NPP gurus in Winneba that is Hon. Alexender Afenyo Markin and Dr. James Kofi Annan. These two persons, I hear, were once very good friends. It is rumored that the later even financed the political campaign of the former in the last elections. I don’t know how true that is. This arguments continued for almost about a month and then bum a video dropped. The video on the surface appears to be promoting Winneba but embedded in the message of the video was a strong signal and some punchy lines. To be honest, the video was beautifully crafted and creatively woven to the extent that it will take only a person with four eyes and ears to fully decode the content of the video. For some of us, we can’t be deceived, we know what the producers sought to achieve. The video, in my view, was primarily created to introduce the concept “WINNEBA IS KING”. This may sound funny to readers outside of Winneba but to those in Winneba, this term is now the subject of discussion. If you have travelled to Winneba recently you may have seen some billboards with the inscription Winneba is King. Do not be tricked it is not there just to promote Winneba, it is a masterminded political movement of an independent candidate. Initially when I saw it, I thought it was a joke and I managed to convince myself that this was not going to have any impact. My conviction was motivated by the fact that two people from the same political party may be sensitive in attacking each other. Most people in my party may have also thought same. I saw most people from the NPP making a joke of the slogan, some were teasingly writing “Winneba is Queen”, “Winneba is a king and Alex is a kingdom” and all that. Some even argued that the slogan was grammatically wrong. It was funny from the beginning but it’s looking as though we were all wrong. I think the whole thing has gotten to a stage where the NPP party’s National Executives should officially step in before it becomes late. The tension in Winneba is building up every day and surprisingly I feel it is attracting some panic reactions from the Hon. Alex and that is what makes me feel that the intervention of the National Executives is needed now. Within two months of introducing that concept, “Winneba is King”, it has grown to be the force to reckon with in Winneba. Unfortunately, it is looking as though they are now determining the direction of the political campaign in the constituency. I don’t know if intensive campaigns have started in other constituencies, but in Effutu campaign has started. I personally see the current Member of Parliament in Effutu as controversial and smart. Like I said earlier, I like controversy so I have a thing for people who have the penchant for controversy. I have been following him since I was transferred to Winneba in 2014 and I admire his charisma. I monitored his campaign before the 2016 elections and right from the beginning one could tell that he knew what he was about. I was not surprised at all when he won massively in the 2016 elections. He is the reason why the NDC party is weak in Winneba and in my view it was going to take a while for the NDC to bounce back. They just could not predict him and he was way ahead of them. To put it in the NDC’s own words, He was in a comfortable lead. But unfortunately, I am feeling this appeal is weaning off now. It looks as though the new Winneba is king movement knows what to do and when to do that more than the NPP. They are quite proactive in predicting their opponents. Within the last two months I see the NPP rather trailing the Winneba is King movement and this is what surprises me. They appear to have a plan for their campaign and they are more proactive in its implementation. For the first time since I came to Winneba, I see some genuine anxiety in Hon. Alex Afenyo Markin and this has been overly exhibited in his recent speeches. I was very surprised when in an interview with Umaru Sanda on Citi Fm, he described his opponent Dr. James Kofi Annan as a busy body independent candidate. That was so uncharacteristic of Hon. Alex. I don’t know what he sought to achieve but the moment I heard that I knew there is a fire on the mountain. In my view, that tag alone took James Kofi Annan’s candidature to another level. He gave James Kofi Annan free publicity and clearly one could tell the anxiety in him. Candidly, from that time till now whatever the Hon. Alex has done is just a replica of what James Kofi Annan is doing. I don’t know if my people have seen that but that is the hard truth. I recently saw a video showing some things that Hon. Alex has done and the first few seconds of the video was just an imitation of the Video of Winneba is King. Not only that, I have seen several videos from Hon. Alex’s camp that takes the same form like that of James Kofi Annan. All of a sudden there seem to be more meetings and social media engagement from Hon. Alex camp and this was after James Kofi Annan has started meeting people and initiated a social media drive. All these things are subtle but what eventually pushed me to write this piece was the NPP’s reaction after the UEW impasse and some other things. After the school was shut down due to the demonstration by students. The NDC constituency released an official statement and blaming Hon. Alex for the happenings in UEW. Surprisingly, the Effutu NPP decided not to respond but they were busy responding to comments from James Kofi Annan. This is not a good sign and in my view, the so called busy body candidate is rather getting Hon. Alex busy. It is rumored that the Winneba is King Movement will be going for health walk this Saturday. I am yet to see any official advert from them though. Just few days ago, I saw an advertisement on Facebook advertising a float by Hon. Alex and the NPP party on Sunday. And unpredictably, this is very unusual of the Effutu NPP. In my almost five years of staying in Winneba, I have never seen any float organized by NPP on Sunday and in this manner. The NPP party in Effutu may pull a bigger float more than that of Winneba is King. But if Winneba is king succeeds to get even 500 people for their health walk then my people should know that there is something wrong somewhere. I hear Hon. Alex intends to organize a football match in Winneba as part of the Aboakyer Festival and hence called some footballers from Winneba to his office in Accra to deliberate on it. This Aboakyer football match is something that is being done by Dr. James Kofi Annan for some years now and organizing same will mean copying it from him again. I am enjoying the whole controversy and happening yet I am worried. 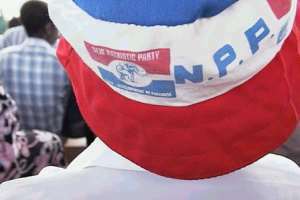 Generally, I feel the tension is not favoring NPP as a party. Let’s not forget this independent candidate is also from among us and the more he gains popularity the more he weakens our front. He seems to have also succeeded in showing the Effutu NDC how to strategize against their biggest rival, Hon. Alex. If this continues and the NDC succeeds in getting a solid candidate we may lose our seat to the NDC. On the other hand, if the NDC decides to align with Winneba is King then automatically Hon. Alex will lose the seat to Dr. James Kofi Annan. If this happens we may not know if James Kofi Annan will still sympathize with NPP or not. I hope you now understand why I think the national executives should intervene now before things become late. If we have these two smart and equally competent people, I think we should rather focus on uniting them and tapping into their resources to make the Effutu seat a comfortable seat for the NPP rather than we leaving them to pitch themselves against each other. We have what it takes to make Effutu a comfortable seat for NPP, let us do it before it’s too late.